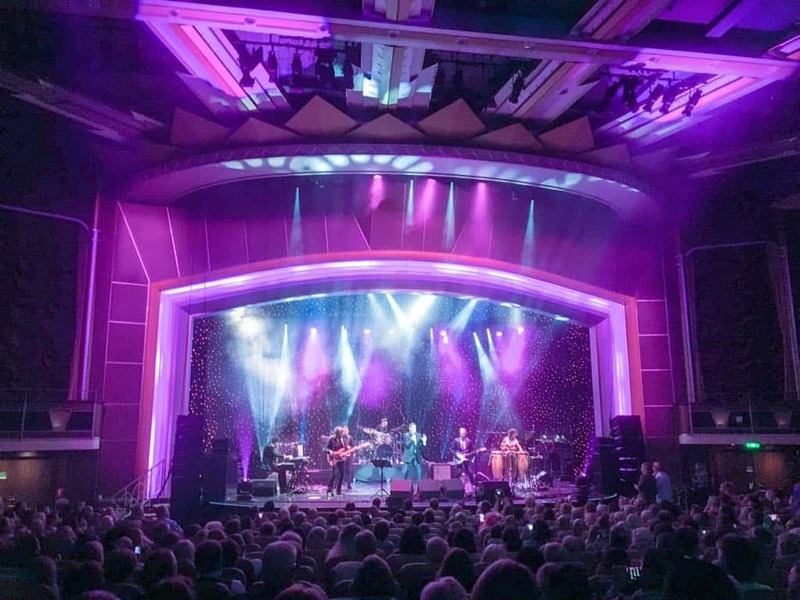 Hi there cruise fans and welcome to day six of our updates of an 80’s cruise onboard Royal Caribbean’s Navigator of the Seas with Cruiseco. 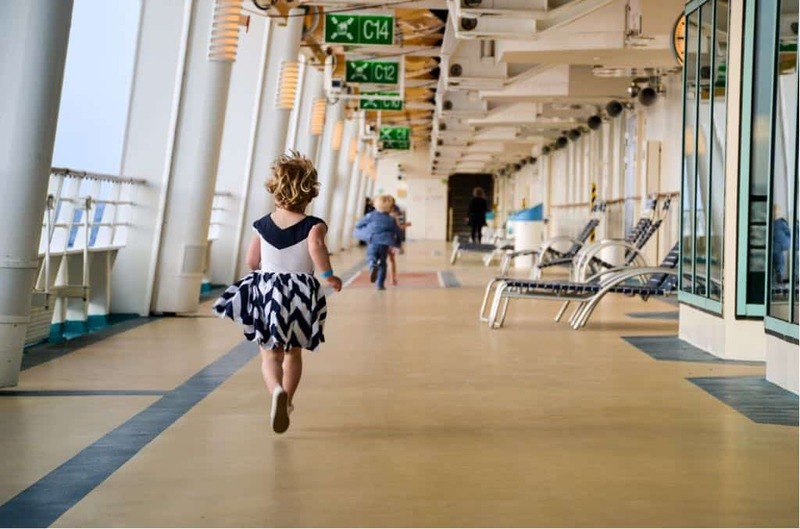 Knowing that we’d boarded Navigator of the Seas for the last time and were now making our way back to Southampton was a real mood killer. However, with three kids aged five and under we didn’t have time to mope. We were up in time to catch breakfast in the Sapphire Dining Room buffet while Lisa tried out the al a carte breakfast menu two floors above. We are still talking to each other, I promise. But even after six days we are getting a bit lost when we plan to meet, especially when the formal restaurant covers three floors! 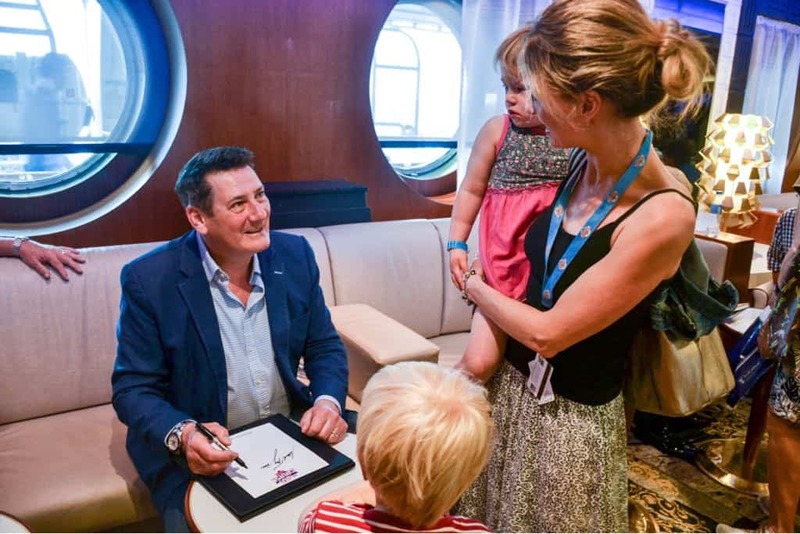 The stars of the Back to the 80s festival – the largest one ever to be staged at sea – were meeting passengers and signing autographs during the morning. We decided to join the queue and see some of the acts up close. On reflection we should have dropped the kids off at Adventure Ocean as there were a lot of people waiting in a very orderly line to request scrawls on ship programmes, t-shirts and CDs. However the wait was worth it as we met the likes of Martyn from ABC and Tony Hadley of Spandau Ballet. We also met the Best of the Bee Gees tribute act and Rebecca O’Connor who performs as Tina Turner. Tony in particular was seriously charming and great with the kids. In the afternoon Lisa and I decided it was time we put our surfing skills to the test on Flowrider. We dropped Lisa’s son and my youngest daughter off at kids club and headed to the Sports Deck. My eldest was keen to see what the ‘big girls’ were getting up to so came with us. Meanwhile Lisa reached the top twice – she’s quite the monkey! Our evening started with formal dining during which we got the chance to speak to another family about the entertainment. We agreed we were all looking forward to seeing Tony Hadley. We just about had time to drop all the kids into Adventure Ocean for a pirate themed party night, grab a glass of bubbles as the sun went down and make out way to the Metropolis Theatre for the show. It was a brilliant evening to round off a fun day at sea. 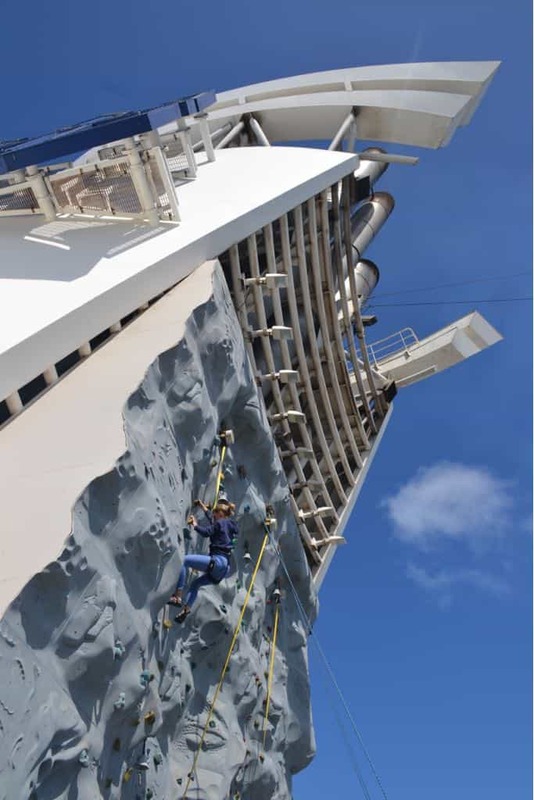 Just one more to go now and we’re sure it’s going to be a great finale to our Royal Caribbean cruise. Come back tomorrow to find out. In the meantime here’s what we got up to in Lisbon on day five. 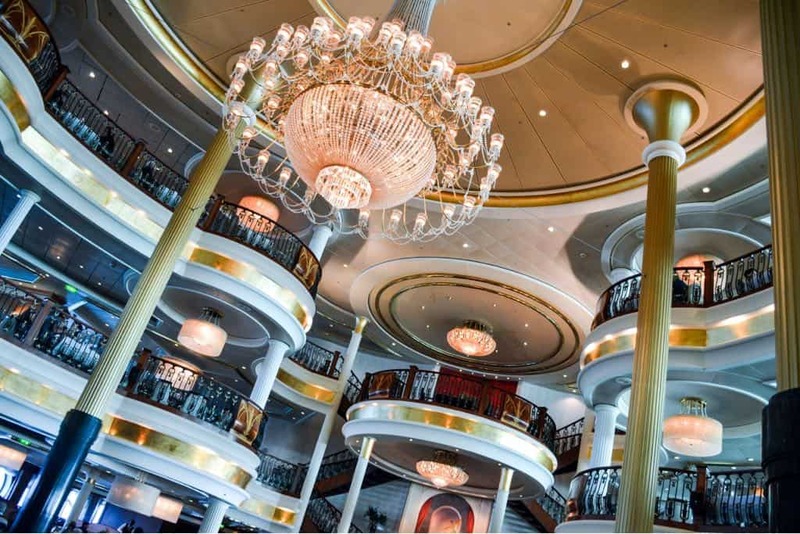 Now take a look at Day 7 & 8 of our cruise Back to the 80s.